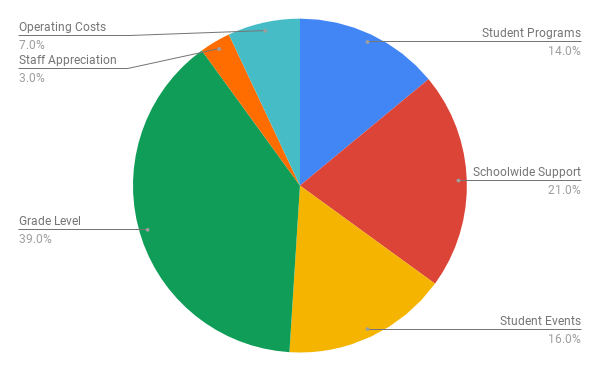 To date, we are 97% to our summit, with just $1597 left to FULLY FUND our 2018-19 budget and have the kids earn their all-school ice cream party. Even though we are THIS CLOSE, we won't stop until we hit the goal we set back in June, which is $50,000. 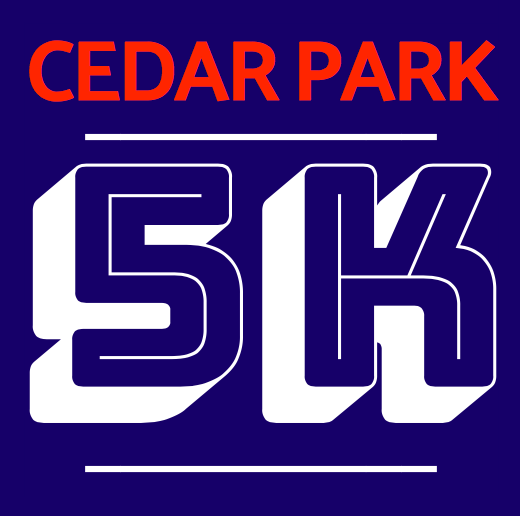 So let's finish what we started, Cedar Park, and achieve our 5K dreams together! Did you know that fundraisers are more successful when more people give less? It's the COLLECTIVE EFFORT that creates success. Any donation amount– no matter the size– takes us that much closer to the $50,000 summit. If we all work together, everybody wins. Go to https://www.firstgiving.com/event/411287/2018CedarPark5K and donate to the cause directly through next Monday, 10/22. Return your cash/check to the school in the 5K pledge envelope (or any envelope clearly marked 5K). Students can drop them off in the office. Your PTC leadership is committed to showing you where your money goes so you can donate with confidence. 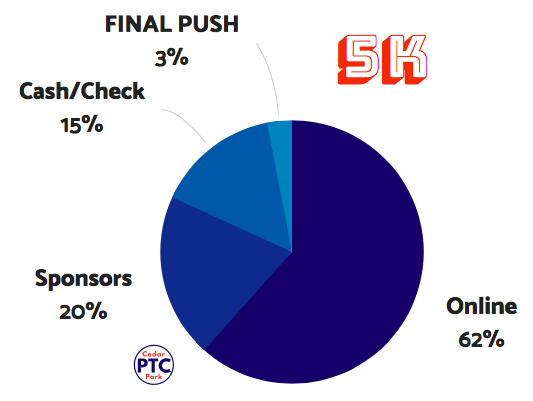 Our PTC budget can always be found online, but for those of us with no brainpower left at the end of the week, allow us to SHED SOME LIGHT in an easy to read pie chart. 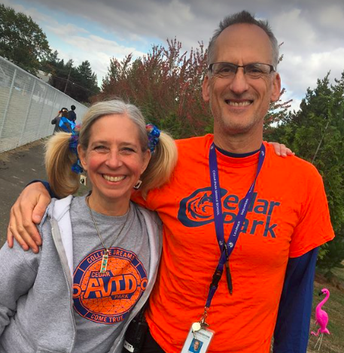 Ms. Clifford & Mr. Witt were the cheeriest 5K participants out there. 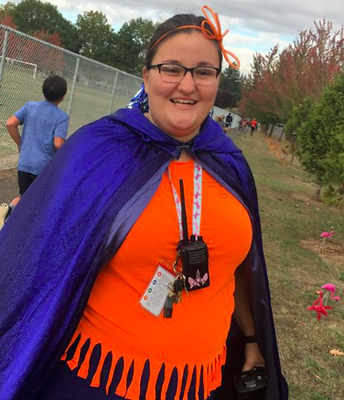 Ms. Hitsman has been waiting all year to wear this cape. Red Bull or unbridled amount of school spirit? You be the judge. 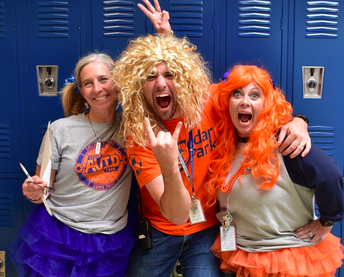 Either way, our CPMS administrators came to rock! Strike a pose, Ms. Fitz. 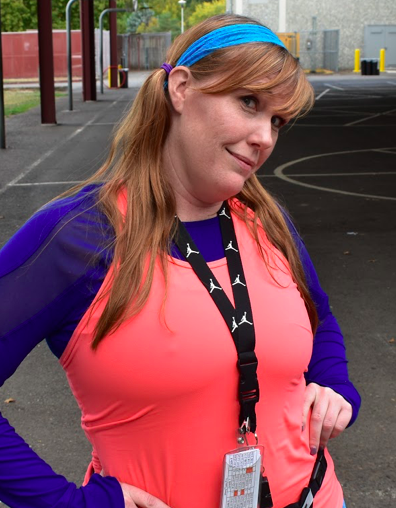 Such a good excuse to use that neon orange mesh that's just lying around. 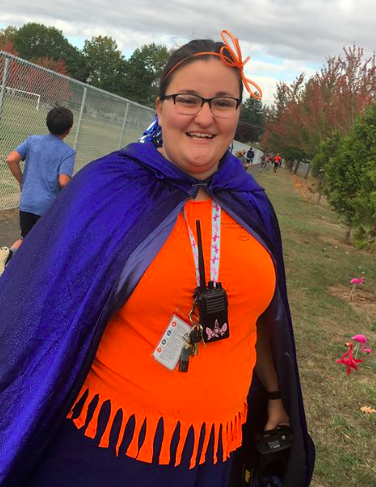 Love it, Ms. Hattendorf! Congrats to our Fastest 5K Runners! 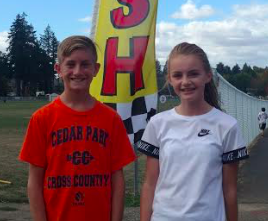 Congrats to these hard-working students who pushed themselves to avoid their meandering classmates and finish first in their class. 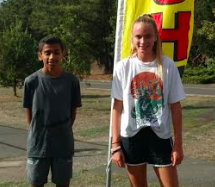 Special shoutout to 8th grader Inbaa Chennai, who had the fastest time of all 1050 CPMS students, completing his 5K in the unofficial time of 15 minutes 42 seconds. 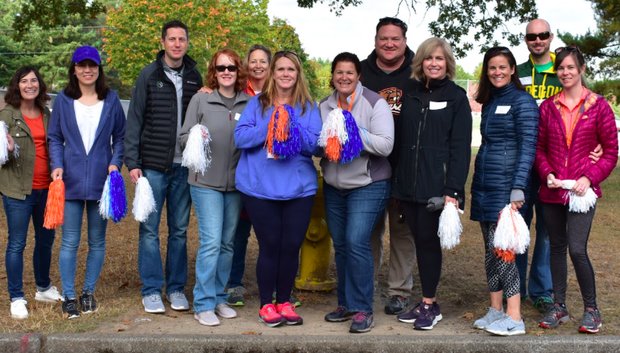 The success of the 5K is a collective effort of staff, students, volunteers, sponsors, and the greater CPMS community. Even if you weren't with us on 10/4, all your time, donations, and effort did not go unnoticed. This fundraiser was most certainly, POWERED BY YOU, Cedar Park. Bravo. 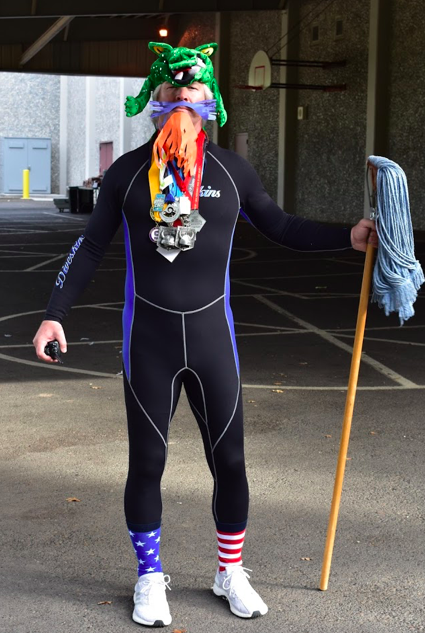 These events don't just staff themselves. Our fearless (and unpaid) 5K leaders-- Erika Hammond & Karen DiPietro! Everyday heroes who made this awesome event possible. 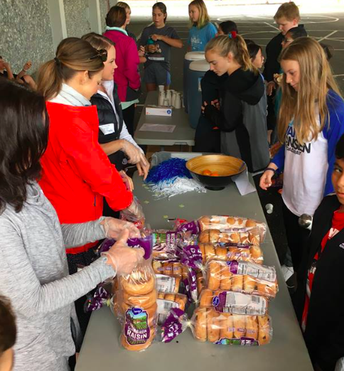 Franz Bakery donated over 1200 bagels for our students to enjoy after their 5K effort. It's the generous support of local businesses that make our fundraising dreams possible. 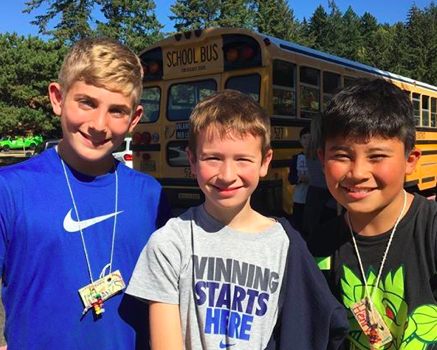 Cedar Park's 6th grade enjoyed the opening week of Outdoor School last month, surviving the four days-three nights away from home. Each team went to a different site– Trickle Creek, Westwind, and Cedar Ridge. Outdoor School revolves around Ecology learning targets, and students take part in hands-on field experiences. Transportation to Outdoor School was provided by the PTC and your generous 5K donation. 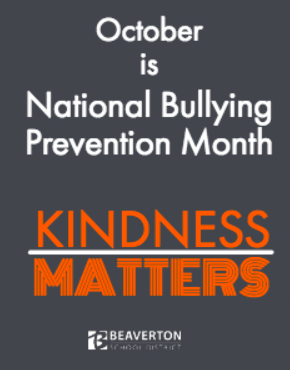 October is National Bullying Prevention Month when schools around the U.S. teach bullying awareness and prevention and celebrate school unity and diversity. 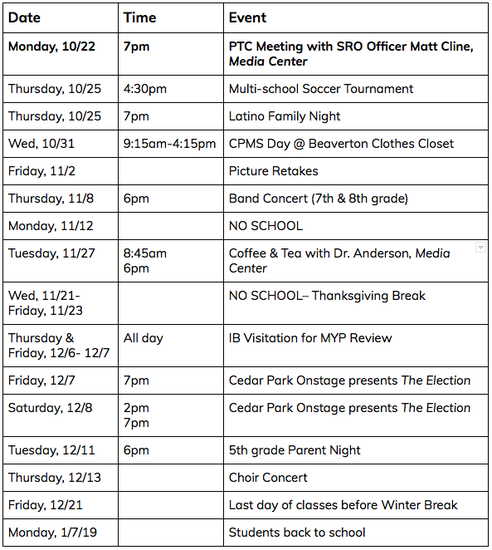 CPMS' counseling team– George McMurtry (8th), Rachel Taleff (7th), & Andrew Witt (6th)– have a full line-up of activities to engage students during the week of October 22nd-26th. During Advisory class, students will discuss what defines bullying and differentiates from other behaviors. Students will participate in a school-wide survey and work in groups to identify positive messages they want Cedar Park students to aspire to. At lunch time students will be able to sign an "Anti-Bully Pledge" at tables hosted by our 8th grade WEB Leaders. On Wednesday, October 24th, all students will be encouraged to where orange, the official color of Bully Prevention Month! We hope you enjoy this article "Rude vs. Mean vs. Bullying: Defining the Differences" and have an opportunity to discuss it with your student. Bully Report Form: Cedar Park students are encouraged to report incidents of bullying to any adult at school. In addition, counselors have "Bully Report Forms" outside of their offices in A, B, and C Hall. Please feel free to contact your student's counselor should you have any questions. Thank you for your support of Cedar Park! 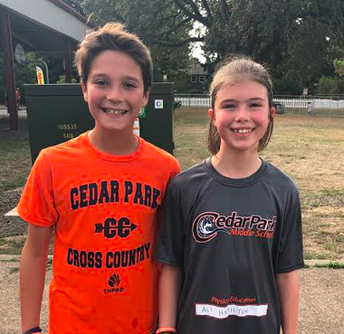 Cedar Park's Family Fun Night had the best turnout in years, in part because of its move to the fall. 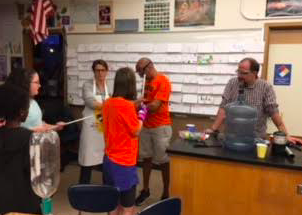 Nearly 100 students and families came out to enjoy the twenty discovery stations and activities hosted by staff members and parents, including rocket launching, kahoot trivia, robotics, button making, and much more. 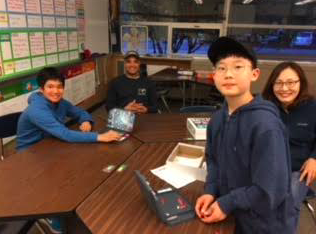 "It was the best attended and most fun FamilyFun night in several years thanks to our parent volunteers, teachers, and students!" shares Cedar Park vice principal, Megan Clifford. Thank you to the 27 staff members and various parents who gave up their Thursday evening to engage with Cedar Park. We will see you next year! Special thanks to parent coordinators, Jenna Allen, Kelly Jacobsen, and Karen DiPietro. The food cart adventure was a success at CPMS this week. Abuela Chona provided Argentina food and La arepa brought in food from Venezuela. This event was popular with our students and staff. 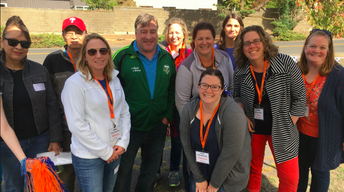 Huge thanks the 19 community volunteers who helped organize the hungry hoard. 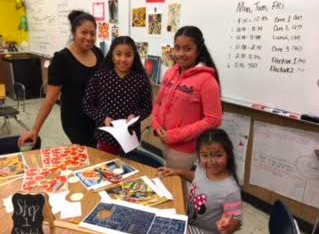 Shout out to our Spanish teachers, Ms. Catherall and Ms. Stevens, for making this unique opportunity possible! We gathered, sang kumbaya, and comesserated over the raising of tweens. Is this a principal chat or a support group? The jury's still out. Click to read the FULL RECAP of all the latest, greatest, and perhaps previously unknown details of Cedar Park’s programs and academics, as discovered via Dr. A's first "Coffee & Tea" events on 10/1. Upcoming IB Visit: What is it & Why Does it Matter? Class Size: What's the Damage? Dr. A's next "Coffee & Tea" will be Tuesday, 11/27 at 8:45am and 6pm. All parents are welcome to attend. The year's fall book fair was held all last week. Funds from Scholastic Book Fairs provides valuable library support. This fall's profit of $630 will be used to either purchase new books for CPMS' library or possibly bring in a visiting author later in the year. 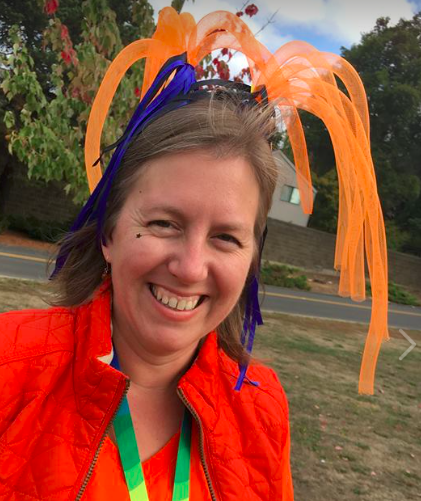 Thank you to Debbie Hernandez, CPMS' Library Media Specialist, and the rotating group of volunteers who set-up, staffed, and cleaned up this event. 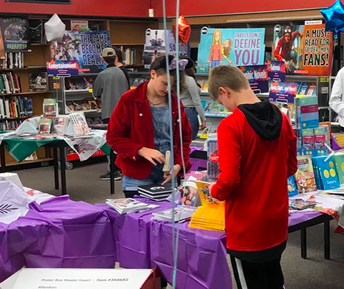 CPMS will be holding another book fair this spring, Feb. 22 through March 4. Last night was the first concert of the year for our Cedar Park Choir program. Cedar Park is happy to welcome new director, Joseph Mikkelson, to our community. Choirs from 6th, 7th, and 8th grade performed, as well as Honor Choir. 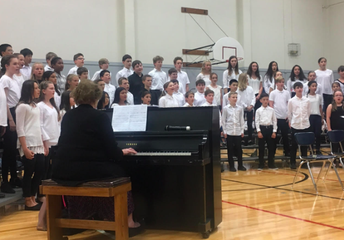 Roughly 200 students are a part of our CPMS choir program. Well done to all musicians! We look forward to hearing you again at your winter concert on Thursday, 12/13. Cedar Park teachers and staff enjoyed a pizza & salad dinner last Wednesday before conferences. 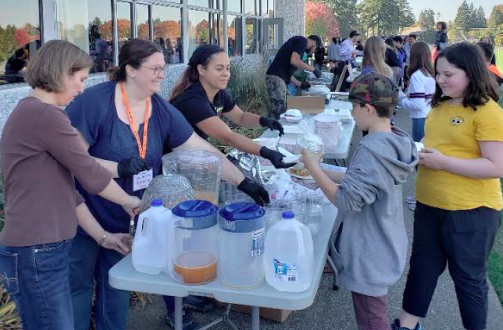 This catered meal was made possible from the Staff Appreciation line item, a part of the PTC's annual budget and is powered through your generous 5K donations. Thank you to our Staff Appreciation chairs, Carrie Fox & Christy Bennett! Since we are in the middle of football season, let's treat the staff to our favorite tailgate foods. Sign-up now to spoil our Cedar Park staff on Thursday, 10/25. Our Art Lit Dream Team will be bringing Kandinsky to our Cedar Park students in just a couple weeks. Please save the following dates and look for more detailed sign-up info by 10/24. Wed, October 24th @ 7:00 PM (Library): Training for presenters and a general introduction for all volunteers that wish to join us. This is important for presenters to attend. If you are not presenting but will be assisting, you are encouraged to join us this evening. We will keep it as close to one hour or less as possible. Specific times for your student's session will be provided by October 24th. However, these are the dates of each grade's Art Lit presentation. Art Lit is funded through your generous 5K donation. 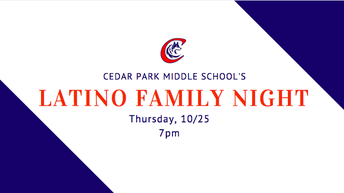 Mark your calendars for Cedar Park's annual Latino Family Night at 7pm on Thursday, 10/25. 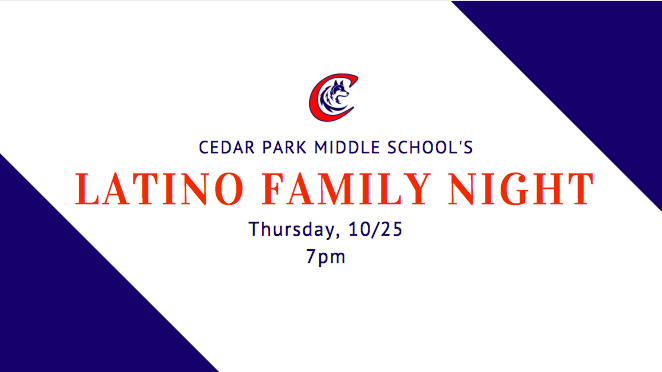 This event is a way to connect with our Latino families and offer time for them to ask questions, learn how to access ParentVue and Canvas, and be more connected to Cedar Park. Don't miss out on this awesome opportunity to build Cedar Park connections and learn more about CPMS. The multi-school soccer tournament will take place beforehand and food trucks will be available. Cedar Park's volunteer day at the BSD Clothes Closet is Wed, October 31 (Halloween). 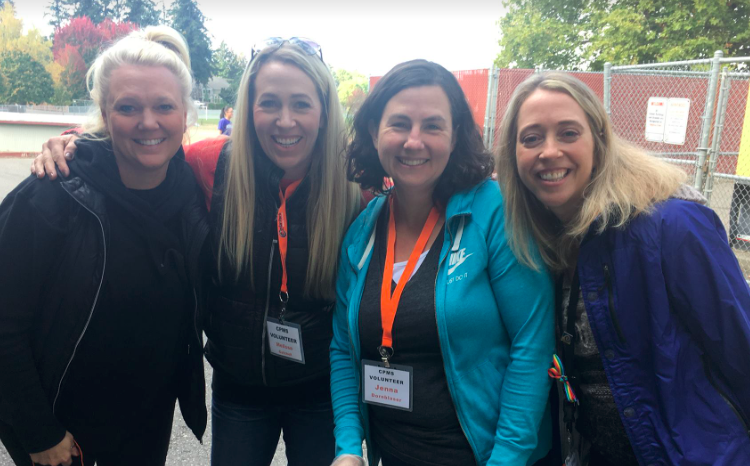 Sign up to work a shift in the Beaverton School District’s clothing store, which provides free clothing for BSD students from families with limited income. Volunteers will sort clothing donations, replenish the store, and assist customers in finding correct sizes. Help is especially needed in the afternoon. Even if you can't can't commit to a full shift, any time spent volunteering here is time well spent! 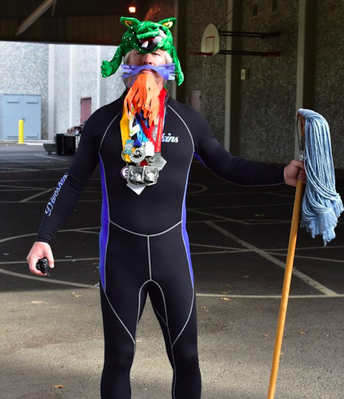 The Clothes Closet is located at: Beaverton School District Administration Center, 16550 SW Merlo Road, Beaverton, OR 97006. Cedar Park's first band concert of the year will feature the 7th and 8th grade on Thursday, 11/8 at 6pm. 6th graders and the entire CPMS community are welcome to come and hear our young musicians perform. The new Cedar Cafe is a part of Beaverton School District's latest campaign to encourage and boost attendance. 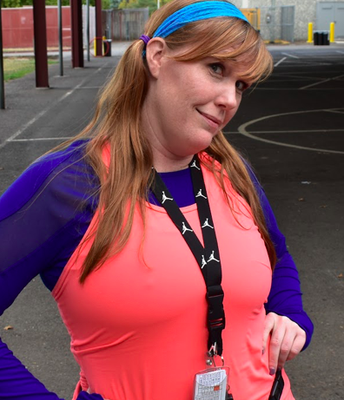 Did you know that missing more than two days a month is considered chronic absenteeism? Studies prove that attendance, even at an early age, drives high school graduation success. This year, students with no absences and no tardies will be rewarded with 20 minutes of relaxation, complete with a treat and hot drink in our cafeteria. These will be celebrated quarterly, with the first being Friday, 11/16. Students will be notified if they qualify. 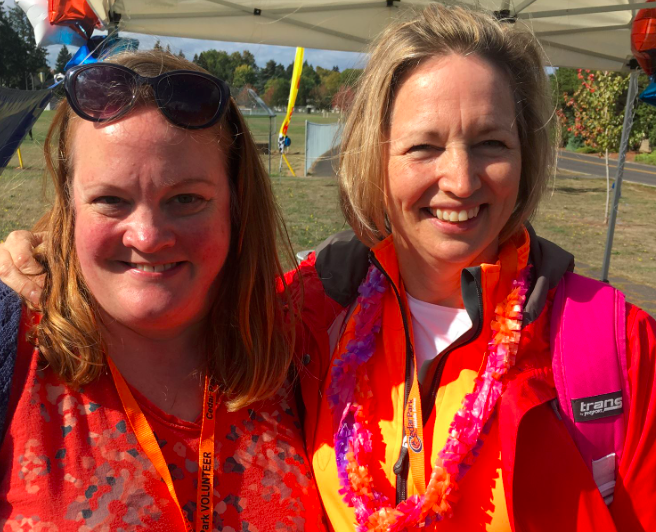 Thank you to parent coordinators Star Erickson & Karley Nees for managing these celebrations! 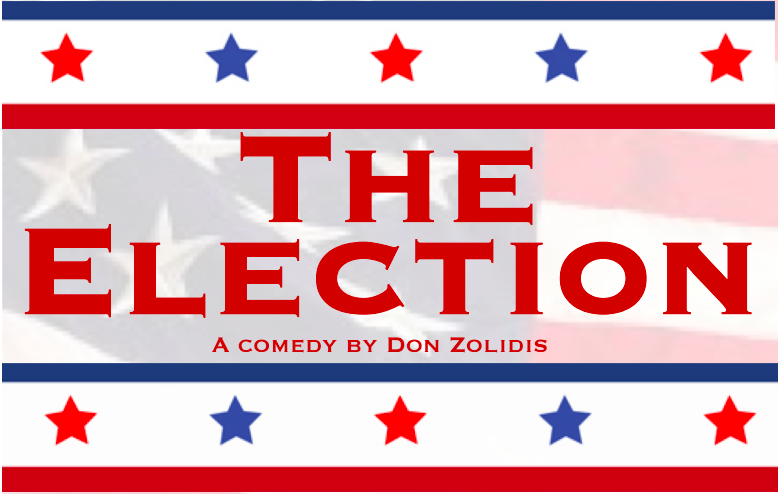 Don't miss CPMS' production of The Election this December, presented by Cedar Park's resident theater company, Cedar Park Onstage. 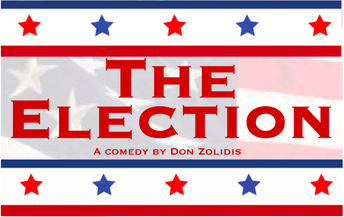 Performances will be Friday, 12/7 at 7pm and Saturday, 12/8 at 2pm & 7pm. 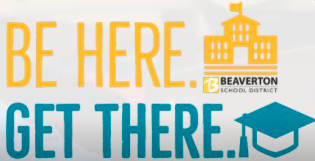 Admission is $7 (adult), $5 (student), $1 (10 & under), $20 (family) and free to BSD staff. For more information regarding theater at CPMS, head to Ms. Gladstone's website.